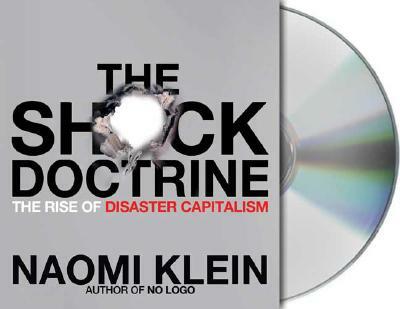 In her ground-breaking reporting Naomi Klein introduced the term "disaster capitalism." Whether covering Baghdad after the U.S. occupation, Sri Lanka in the wake of the tsunami, or New Orleans post-Katrina, she witnessed something remarkably similar. People still reeling from catastrophe were being hit again, this time with economic "shock treatment," losing their land and homes to rapid-fire corporate makeovers. "The Shock Doctrine" retells the story of the most dominant ideology of our time, Milton Friedman's free market economic revolution. In contrast to the popular myth of this movement's peaceful global victory, Klein shows how it has exploited moments of shock and extreme violence in order to implement its economic policies in so many parts of the world from Latin America and Eastern Europe to South Africa, Russia and Iraq. Naomi Klein is the award-winning author of the acclaimed international bestseller "No Logo" and the essay collection "Fences and Windows." An internationally syndicated columnist, with Avi Lewis she co-created the documentary film "The Take. "Jennifer Wiltsie's many audiobook credits include reading Emily Giffin's "Something Blue," Isla Morley's "Come Sunday," Nick Hornby's "Juliet, Naked," and Maeve Binchy's "Quentins," which won an "AudioFile "earphones award.